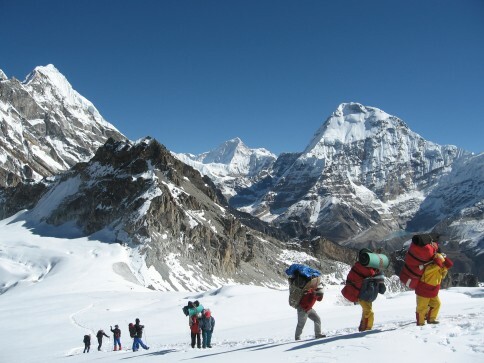 If you are an experienced climber, and trekking does not feel thrilling and adventurous enough, you might want to consider climbing one of the 33 ‘trekking peaks’, a class of mountains that are challenging, but not as much as some of the more rugged mountains that Nepal has to offer. The category was created by the Nepal Mountaineering Association to define an intermediary stage between trekking and mountaineering. Proximate to major peaks, trekking peaks provide breathtaking views of the Himalayas from their summits. Taller than most peaks in North America and Europe, these are mountains of considerable sizes. Most of these journeys require you to traverse snow and ice; consequently, it is advised that you learn how to use crampons and ice axes beforehand. Of course, not all of these peaks are equally challenging. Some are better suited for rookies, while others are only for seasoned climbers. 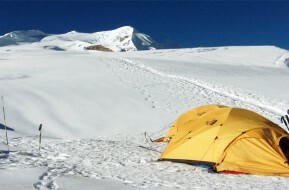 Most of them are not higher than 6,500 m, however, and they are all close to the poplar trekking routes. 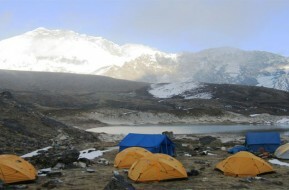 Adding several days to most of the regular trekking itineraries can easily accommodate the climbing of these peaks.